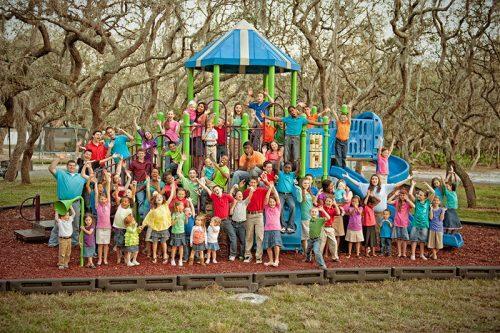 TAMPA, FL / ACCESSWIRE / May 25, 2016 / Donors can be confident in their giving to Hope Children's Home, knowing that their money is being utilized in the best possible way. Recently, in the area of accountability and transparency, Hope Children's Home has received the highest possible scoring of 100% giving the Tampa Non-Profit Charity Navigator's coveted four-star rating. In an April 1, 2016 letter, Charity Navigator President and CEO, Mike Thatcher, explained, "On behalf of Charity Navigator, I wish to congratulate Hope Children's Home on achieving our coveted 4-star rating for sound fiscal management and commitment to accountability and transparency." Thatcher continued, "As the nonprofit sector continues to grow at an unprecedented pace, savvy donors are demanding more accountability, transparency and quantifiable results from the charities they choose to support with their hard-earned dollars. In this competitive philanthropic marketplace, Charity Navigator, America's premier charity evaluator, highlights the fine work of efficient, ethical and open charities. Our goal in all of this is to provide donors with essential information needed to give them greater confidence in the charitable choices they make." The award letter continues, "Based on the most recent information available, we have issued a new rating for your organization. We are proud to announce Hope Children's Home has earned a 4-star rating. Receiving four out of a possible four stars indicates that your organization adheres to good governance and other best practices that minimize the chance of unethical activities and consistently executes its mission in a fiscally responsible way. Approximately a quarter of the charities we evaluate have received our highest rating, indicating that Hope Children's Home outperforms most other charities in America. This "exceptional" designation from Charity Navigator differentiates Hope Children's Home from its peers and demonstrates to the public it is worthy of their trust." Forbes, Business Week, and Kiplinger's Financial Magazine, among others, have profiled and celebrated the unique Charity Navigator method of applying data-driven analysis to the charitable sector. Charity Navigator evaluates ten times more charities than the nearest competitor and currently attracts more visitors to the website than all other charity rating groups combined, thus making it the leading charity evaluator in America. The data shows that users of the website gave more than they planned to before viewing the findings, and in fact, it is estimated that last year, Charity Navigator influenced approximately $10 billion in charitable gifts. "We believe our service will enhance your organization's fund-raising and public relations efforts. Our favorable review of Hope Children's Home's fiscal health and commitment to accountability & transparency is now visible on our website at Hope's Charity Navigator Page," says Thatcher. ensure that we hold ourselves to the highest possible standard." Hope Children's Home has rescued nearly 5,000 children that have been abandoned, abused, and neglected from all over the world. The fifty-five acre campus receives no state or federal funding but relies completely on donations.